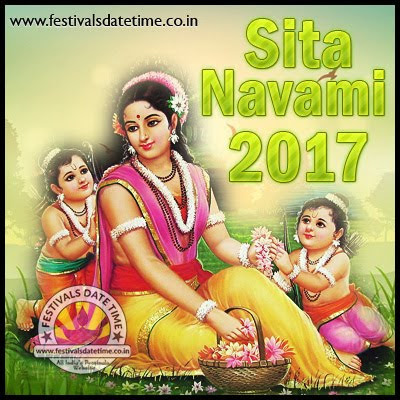 About Sita Navami : Sita Navami knows as Sita Jayanti. According to Hindu history, Sita Navami is that day when Mother Sita was born. Navami of the Shukla Paksha of Vaishak month is called Sita Navami. Mother Sita was also known as Janaki because she was the daughter of King Janaka, the king of Mithila. Therefore, this festival is also called 'Janaki Navami'. This festival is celebrated all over The India. People Worship Lord Ram, Mother Sita, Brother Lakshman and Hanuman with Bhajan and Kirtan. All India's Lord Rama's Temples celebrated this day and Reading Ramayana also sung worship songs of Gods.